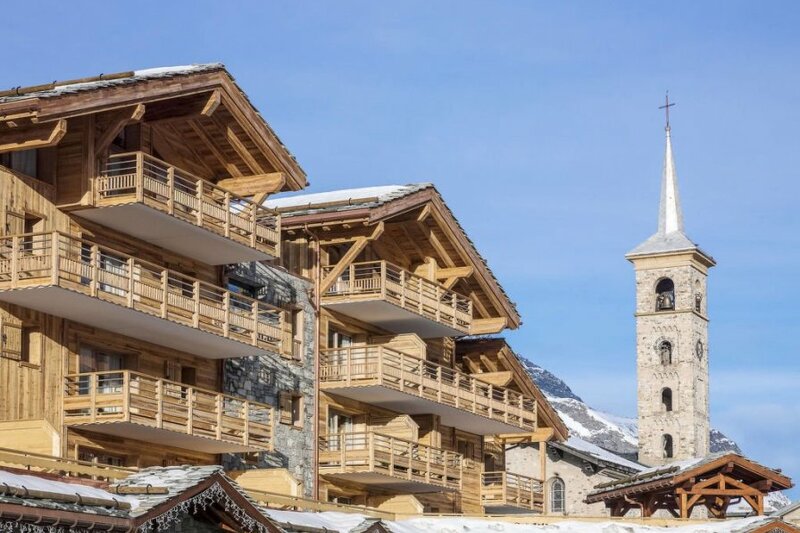 This 1 bedroom apartment with swimming pool is located in Tignes and sleeps 4 people. It has WiFi and garage. Apartment, 2 - 4 people, 2 room/s, 1 bedroom/s, 1 bathroom/s, approximately 35 - 40 m², 1 - 2 floor/s. Feature: Property in a residence (6 building(s) in total, 132 units in total). Furnishing: good, tasteful, with much wood, tiled floor. Equipment: satellite TV; internet access Wi-Fi for 1 device(s) (included); Heating. Final cleaning of the kitchenette by tenants. Holiday resort tax. Linen/towels available (beds are ready-made upon arrival). Change of towels, € 10 per person. Deposit € 400 (Visacard, Mastercard, French cheque's). Cot/​High chair/​Changing pad only within the maximum occupancy, free of charge (on request). Pet 1 pet allowed, € 65 per week (please advise prior to arrival; additional animals on request only). Access/parking: reserved car park in underground garage (payment, depending on availability, height limit of 1.90 m). Ski-run access near the residence. Indoor swimming pool (shared use): 17.0 x 9.0 m, heated, children's pool. Wellness: shared use (free of charge): whirlpool, sauna, steam bath. Infrastructure: reception, bakery service; washing machine (coin-operated); lift, baggage storage; Ski/skiboot storage room (ski boot dryer); internet access Wi-Fi (included) in the reception area. Included: rental of fondue, rental of raclette. Plot description: balcony, furnishing provided. The apartment is described as good value for money. The apartment has a swimming pool and is located in Tignes. The nearest airport is 133km away. It is set in a very convenient location, just 0 metres away from a beach and only 50 metres away from the city center. The apartment has free wireless internet. The apartment is adequately equipped: it has a dishwasher and a washing machine. The property has a sauna.